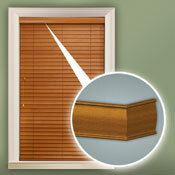 Levolor 2 1/2" Faux Wood Blinds offer all the beauty of real wood at a fraction of the cost. 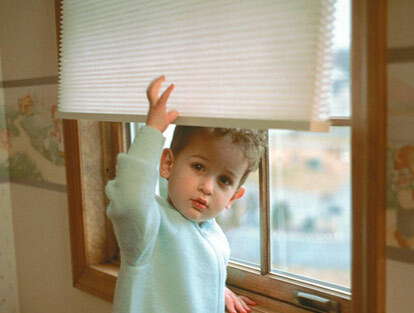 2 1/2" slats provide a shutter look and maximum view through the slats and will have less slats for a smaller stack when raised in your window. 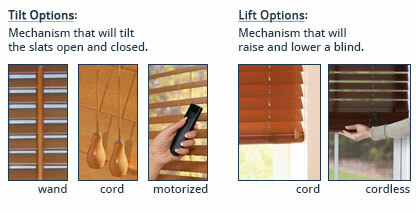 2 1/2" slats are also a perfect option to compliment shutters due to their larger slat size. 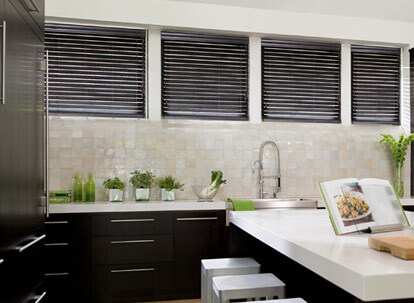 Fauxwood blinds are durable, warp resistant and make this product a great choice for any room, especially spaces with high humidity like a bathroom or kitchen, or spaces that may see a lot of routine wear and tear like a child's room or areas where pets stay. Choose the cordless lift system for a child safe area in any room of your home.